In 2018, the Commission will make comprehensive proposals for the next generation of financial programmes for the post-2020 Multiannual Financial Framework, which is the EU's long–term budget: this requires a careful assessment both of what has worked well in the past and what could be improved in the future. These 4 consultations are an integral part of the process and their objective is to collect the views of all interested parties on how to make the most of every euro of the EU budget. The project wants to start a new deal policy on social infrastructure in the EU. Social infrastructure is defined as ‘long-term physical assets in the social sectors that enable goods and services to be produced’. The report was mainly an investigation of the needs for social infrastructure investment and the options to fill the gap. The creation of a new public-private fund for social infrastructure investment. This fund wants to mobilize private capital from long-term institutional investors and offer them stable investment opportunities at a slighty higher risk (and return) than government bonds. Would it be possible to qualify vocational training and social employment as lifelong learning? Could this kind of funding be an example or a basis for similar investment schemes with a larger scope at national level? Are there opportunities for social impact enterprises to free existing resources by shifting them away from infrastructure investments, since this may become easier in future? Still, we have to keep in mind the limitation to the above mentioned fields. We can conclude that more data are needed. Now data collection on this issue is poor. Local governments are essential for the promotion of investment in social infrastructure. Regional differences are large. In 2016, the Social Platform collected 15 case studies from its members, their national members and partners to illustrate the positive impact that investment in health, housing, employment and education services can have on both the economic and social situation of EU Member States. The 14 case studies demonstrate how a social investment approach to the provision of services advances the well-being of people in practice. 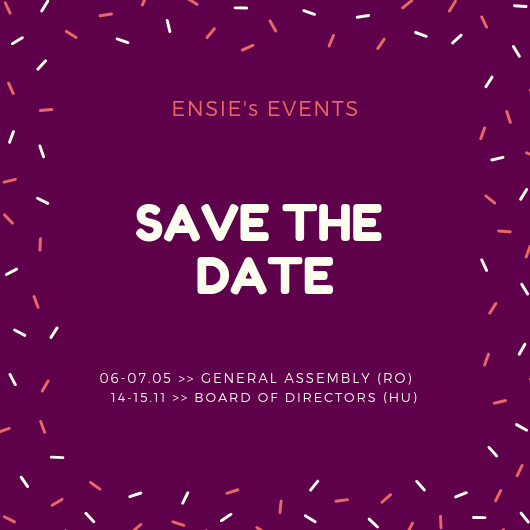 ENSIE provided a case study on work integration for people in vulnerable situations through social economy: an example from our Spanish member network, Insertadix del Mediterraneo & Aromas y Colores VI. ENSIE organised a meeting with its members on new possibilities of financing for the development of Work Integration Social Enterprises during its members'meeting held on November 17 and 18, 2016. At this occasion, Andrea Maier, team leader of the unit Job creation of the European Commission, DG Employment, Social Affairs and Inclusion presented the possibilities under the EaSI Guarantee and the EFSI Social Equity instruments to our members. Patricia Pedelebat, Policy officer in the same unit, exchanged with our members on their needs and impact. February 2016 - European Commission publication: A recipe book for social finance - Designed for practitioners such as social enterprises, investors, social finance intermediaries, market builders and social enterprise support organisations, this publication will guide you step by step through the process of designing and implementing initiatives to develop social finance instruments and markets. Download the publication. September 2015 - Check out the results of the project 3E4SE and discover the project strategy for cooperation between public and private funding for the development of specific local/regional financial tools supporting social enterprises. This consultation has been launched by ESMA. This paper consults on the content of the technical advice (translated in Delegate Regulation) that ESMA should provide by 30 April 2015 to the European Commission on the implementing measures of the Regulations 346/2013 on European Social Entrepreneurship Funds (EuSEF) and 345/2013 on European Venture Capital Funds (EuVECA). 11 September 2011: Consultation "The Social Business Initiative: Promoting Social Investment Funds"
The consultation seeks feedback on possible options for aiding social businesses by means of investments from private individuals channelled through investment funds. Investment funds are an established mechanism for matching investors and those seeking investments, and could help social businesses get funding. Some initial feedback on the Single Market Act has suggested certain barriers to funding social businesses in this way might exist, because of the nature of these businesses, and possibly because of existing rules applying to those running funds. The consultation outlines some of the issues and asks for input on possible next steps. 27 May 2011: Consultation "A possible successor instrument to the EU programme for employment and social solidarity - Progress 2007-2013"